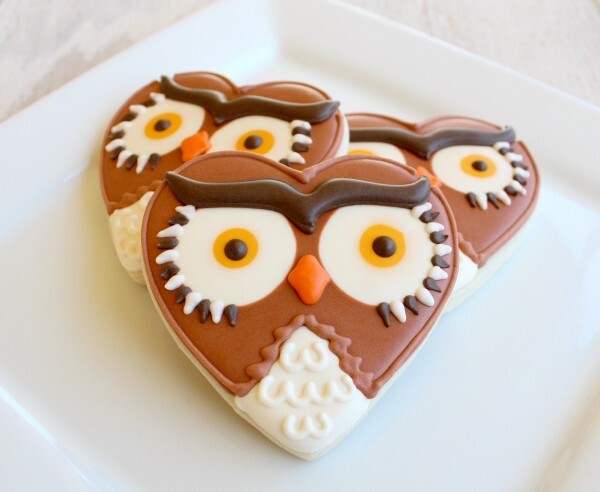 The next trend that I have spotted and cookied, is owls. I’m not sure if I like owls because I like them or because they remind me of my mom. She was a Chi Omega, so she collected them. I used to give her a hard time about her ugly seventies-era owls. But now, I wouldn’t mind having one in my house…suddenly vintage owls are VERY cool. Lots of the owls I’ve seen are bright and cutsie, but I was in an autumn-y mood, so I took that and ran with it. I like how the tulip makes a plump little owl. Yet another trend, cookie-d! Don’t worried I am not finished yet. I have a few more projects to show you, as does my friend Ashleigh, who made pennant banners today. Hope on over to Bee in Our Bonnet and check them out! 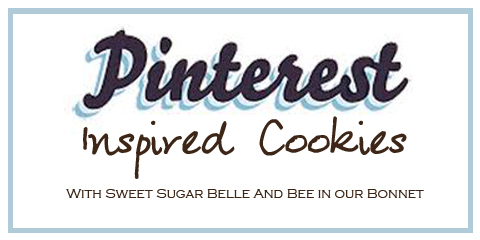 What Pinterest trend would YOU like to see cookie-d? Pure genius with the tulip and heart! these are soo cute! i love your owl’s expression! Love all the owls. Wish I had thought to use my tulip cutter when I made mine awhile ago. The brown and white owls are very attractive but the pink and green are so pretty! I am LOVING your Pinterest trend cookies! I honestly can’t wait until you post every day! You are so fun and creative! Speaking of…I looked all over for my darn tulip…like the one you made your skeli-gal out of…I cannot find it! I want to make a cookie for you, LOL, to match her, but…well, I will look before I ruin the surprise! LOVE these!! 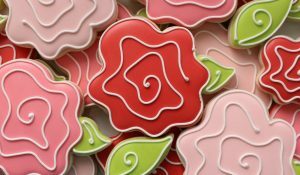 And using the tulip cutter is a great tip… you’re one smart cookie!! Hehe! These owls are so crazy cute! 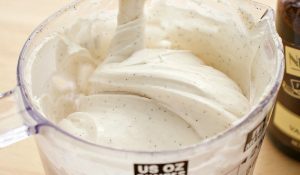 You and Ashleigh are tearing it up with these C-R-AAAAAAZY Pinterest cookies! Great cookies! I always wonder about the colour, they are so brighten and shining! love these!!! I kinda love owls right now, so these are perfect! Callye “MacGyver” strikes again! You drive me crazy when you do that with cookie cutters=D Totally. Love. The owl trend!!! And as usual you hit it right out of the park=) Can’t wait for your next post! Hey Callye I think you could take over the world with your cookies! You amaze me! These owls are amazing. I recently used my heart cookie cutter to make lingerie cookies for a bachelorette party. I love the idea of using basic shapes to create something else. Adorable! So cute! I just pinned all of them! 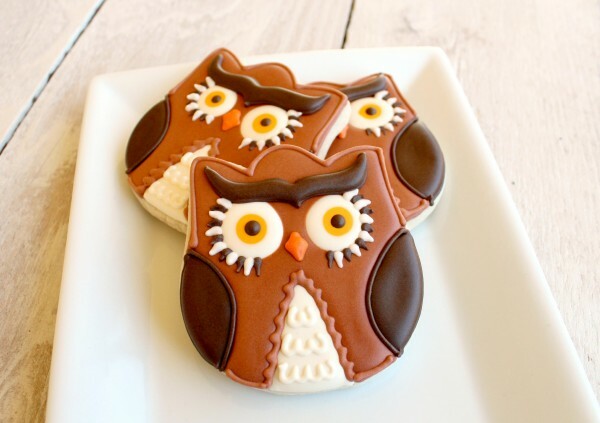 I also posted my Wise Ol’ Owl Cookies today. Totally ADORABLE!!!! You really amaze me with your eye for things. You have mad talent! Love them all, so cute! The owls are too cute for words! That’s so funny because my daughter is a Chi Omega, and she has SO many owl things now, she’s owled out! I keep finding cute owl things to buy her. But these are so darn cute, I can’t see her saying no to these! These are so adorbs! Cutest cookies I have seen in a long while. Adorable and beautifully detailed. Of all the cookies you’ve done, these are definitely some of my favorites! I love owls…the tiny green ones are adorable! These are SO cute!!! I may just have to try to make some! Oh, these are AWESOME!!! 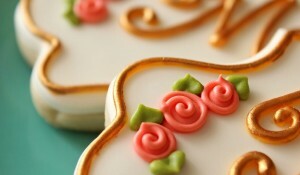 The detail in your cookies ASTOUNDS me, every time I stop by here! You’re such inspiration – and so great to learn from! TFS! 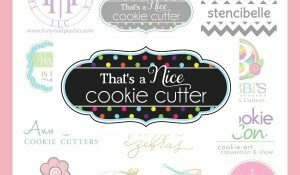 I just love it when you come up with ways that we don’t have to spend a fortune on cookie cutters and then you SHARE your creative ideas! Thanks so much Callye. I hope you had a fabulous birthday!!! Pingback: My Love List Part 9 | Ciao Bella! OMG this is amazing! I am so impressed! I am off to find you on Pinterest and look at your other cookies! Those have to be about the cutest cookies I have ever seen!! Magnifico, quisiera hacer algunas.pero da mucho trabajo. Amazing cookies! I love all of these, but your owls are over the top. What a great idea! I love that you’re making cookies out of pinterest trends. 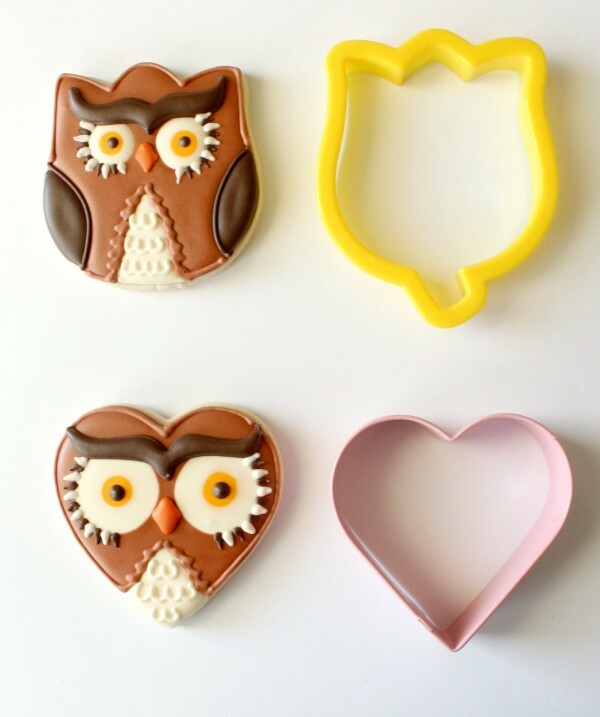 So cute and creative to use an existing cookie cutter for an owl! Love! These are so cute I can’t stand it!! You are so clever. Why no frogs?? 🙁 I got a frog cookie cutter, thinking it would be cute for my kids & was sure I’d be able to lean on you for inspiration, but alas .. no frogs. What’s a girl to do?!?!?! Now I may have to rely on my own inspiration, but I’m no artist – just a decent copy-cat. I’m not even finding any fabulous frogs anywhere on the net .. guess I should have checked online before buying the cutter! Play inmrafotive for me, Mr. internet writer. Oh, you talented and creative lady. You have inspired me again! My Chi Omega sisters and I love owls too! We even write a blog collecting all of our owl finds. These cookies are next on the post list! Love them! I have just stumbled across your website, very lovely. 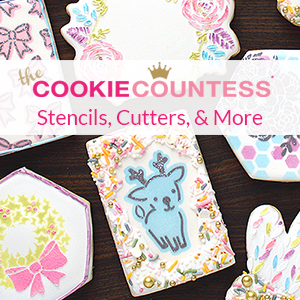 But I must say the owl cookies with the heart and tulip cutters are absolutely genius! How creative to use a tulip! I have been searching for an owl cutter (not easy to find) but I may not need one now bc I have the tulip shape at home! Thanks! It’s amazing what you see when you look at a cookie cutter. Awesome. Did you use royal icing to decorate these? I have been trying to find an owl cookie cutter for months to make my twins owl cookies for their first birthday party. I will now be using a tulip! 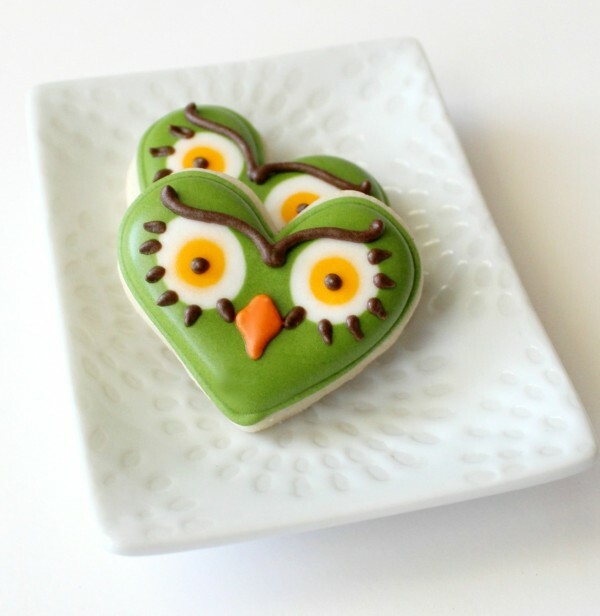 Will you PLEASE share the steps you did to make the owl cookie out of the tulip shaped cutter? I’d love to make these TOMORROW! : ) Thank you!! I will not be able to prepare anything that quickly, however, I will plan on sharing them sometime after the new year. 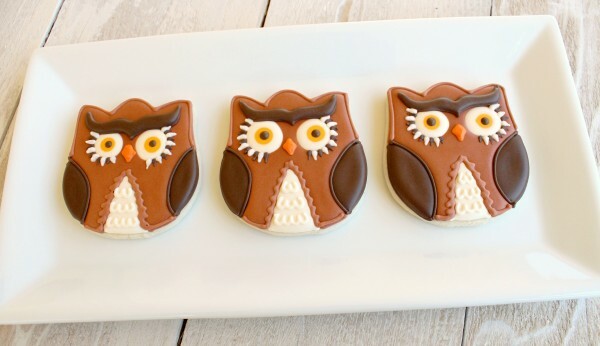 Love these owl cookies! I’m a Chi Omega also, so that’s how I got started with my collection (ugly 80s era owls). I’m so happy to see that owls are trendy now! OMG – I am like you’re newest #1 fan. I am going to attempt (please pray for me) to make something 1/2 as good as this. I am a total amateur but you inspire me! You are RAD! What size cookie cutter do you recommend using for these? I am wanting to use the tulip. Links to your idea have been included in the post for my viewers to find easier! This event will be shared and showcased not only on my blog, but also on my social media accounts such as Pinterest, Facebook, Twitter, etc.. , I’d love to connect pages via social media, so I can showcase your item and share it better with my followers, just send me the links if you are interested! • the? ?Matrix: Uploaded •Holy Zion, Neo!That was no lump in my throat! I swear I toltlay felt my soul stutter. It fluttered.It was unsettling. Palpitations felt were metal-mouth-green and streaming and arcing me down to my relations and posterity, all caught in the Matrixand hovering over apocalyptic worldsand quantum events stages,and wastelands,and faltering nationscontaining soul-sick patients choosing the red pill of cultist underworld vocations making oblations to sages. All caught in limbo. A deja-vu. A symbol. Maybe a download to the Matrix is all that can save you all at this stage of translation. All pills and dots and universal translucence I get a sense of blue-pill soothing blueness and shiver when I consider the two of us as food-units feeding programs and lost souls, and giving mechanical fools false gold.Or feeding earth golden-age industry.Or even stardust!There’s moon-juice dripping through uslike a bad seal in the Matrix, bleeding. But It wont harm us, or the little dipper it fills and spills out of. Made me a believer guys, I’m telling you. I went there and it’s true. Because this ain’t no silver-sipping morphine fever, no Morpheus morphing into a courtly jester fever-jesting, or shadow-boxing thin white air.Not me.I’m newly teething.Plugged-in and baby cleanand neo-lithically pleading to both dream-town and rock-city,my two Matrix pocket-worlds disconnected by a phone booth: one of under-land seers, the other up-and-sprung doe-eyed deer,both waiting to hearabout that third worldplease….RunningSonWritten a few months back. In another possible universe time is non-linear. So it’s ok.
stating and the best way by which you assert it. You are making it entertaining and you still take care of to keep it smart. Pingback: Baker & the Egg » Baking and food photography » Hoot!